I'd personally give it a couple of days to let the dust settle before going to Ask4 about anything. In relation to the packages, my understanding was that the 24/2 was going to be scrapped and everyone would come over as 40/10. Can @Ask4Support, @jonthornhill or @jody-ASK4 clarify. Thanks. (25-02-2012 07:26 PM)wraith Wrote: I would have believed it could be contention ( Dinnington exchange ) except my speeds never dropped to this level when on Ripwire. I strongly suspect it has something to do with being on Ripwires 24/2 package. When I first signed up with Ripwire I had disconnects regularly but then they slowed and for the last few months I didn't have any dropouts at all until my connection was moved over to ASK4 so something must have been disturbed in some way. Home wall socket => BTOpenreach twisted pair copper line =>BT Openreach street cab => Copper tie cable into Digital Region street cab => Digital Region fibre network back to a BT exchange (not necessarily the same one your POTS phone goes back to) => over the DRL fibre to your ISP's port into the network and then out via their core to the Internet. Not sure what is meant by a council halo, but thought this would help clarify things a little. Also may be worth noting, the traffic doesn't flow via the NOC once the circuit has been provisioned either. Hi, don't know the answer to that off the top of my head. I will check what the performance characteristics of the network should be and see if there is something out of kilter. According to the Thales network layout, the DR PCP and BT PCP are the other way round?. From my understanding of Thales project paper work, Each council has a "Halo" which connects to a central one. Example, barnsley exchanges (Cudworth, etc) would connect to Barnsley's main one (like Openreach would do) and then that connects to another halo ring. I can only go off the paper work but I assume the design's are accurate . Vit0, technically there doesn't have to be a major (core) exchange in the loop as we have designed the network to accept an ISP interconnect at non-core exchanges as well, should the ISP want to connect at an alternative location. 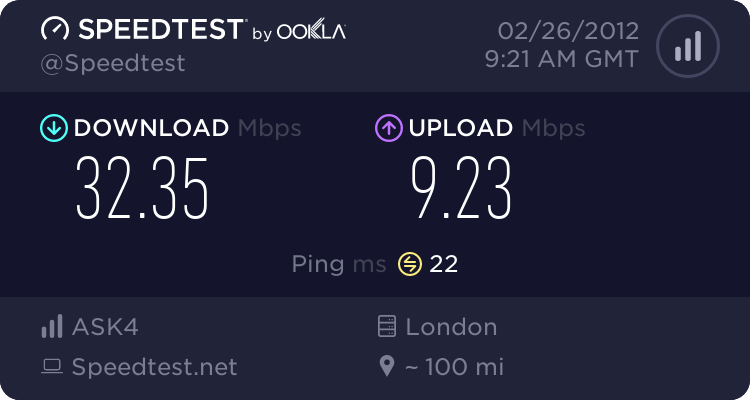 @Digital Region, if you could try and find why the latency to the ISP is high (for me 18ms) then that would be very much appreciated! Considering after it gets to ask4 it only takes another 5ms to get the the BBC servers its a bit crazy how much we lose in the local system!